Qualcomm’s engineering team celebrated the year end with a team wide party at the San Diego Bayfront Hilton. It’s never too late for an end of the year corporate party … which means, February 24, 2018 is not too late for a 2017 party. 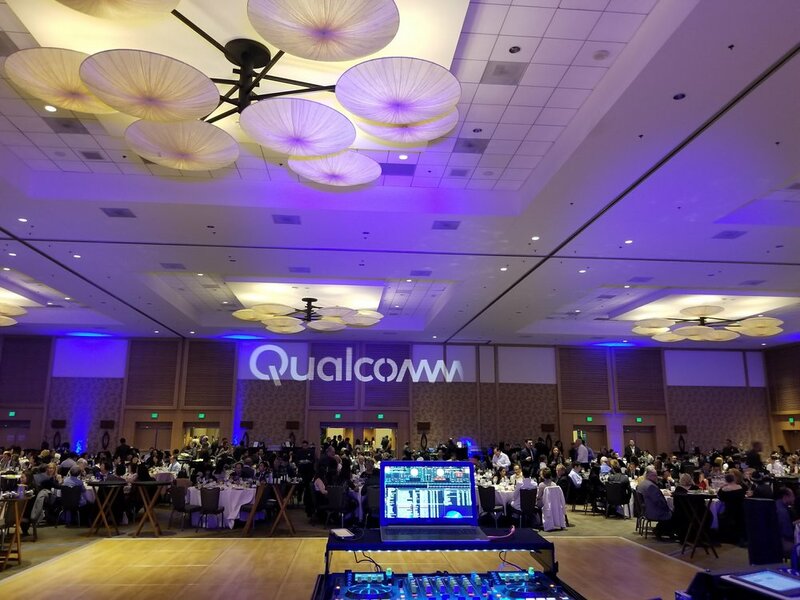 Such was the case for this bash with Qualcomm (hey they are busy people), and it’s hard to get the right date for their 400+ employees and guests. The event took place at the San Diego Bayfront Hilton and was a great end of the year celebration. A Bollywood style dance troupe entertained guests with a 30 minute performance, and then the dance floor opened up.